My name is Nathaniel Grace, but most folks just call me Nate. I was raised in a small coastal town on the north shore of Massachusetts called Gloucester, and I still live there today. I’m happily raising a wonderful family of my own and sharing my life with the best wife and friend a guy could ask for. Life near the ocean is awe-inspiring and wonderful. I could not imagine myself living somewhere else. Salt water is in my veins. I’ve fished in the ocean since I was a kid. My fondest memories are of fishing with my Dad off of the State Fish Pier in Gloucester Harbor, catching flounder. Or, riding my bike down to the old wooden bridge that spans Lobster Cove in Annisquam to fish for tinker mackerel and smelt. As the very last leaves were falling from the trees in late October, schools of tinkers and smelt would swarm the pilings and docks around the bridge. Back then, you could half fill a five gallon pail in no time using a bamboo pole and grass shrimp or live minnows. Those were fun days! I’m teaching my kids to appreciate the ocean, and my two older sons routinely out fish me. It is fun reliving my youth through them. 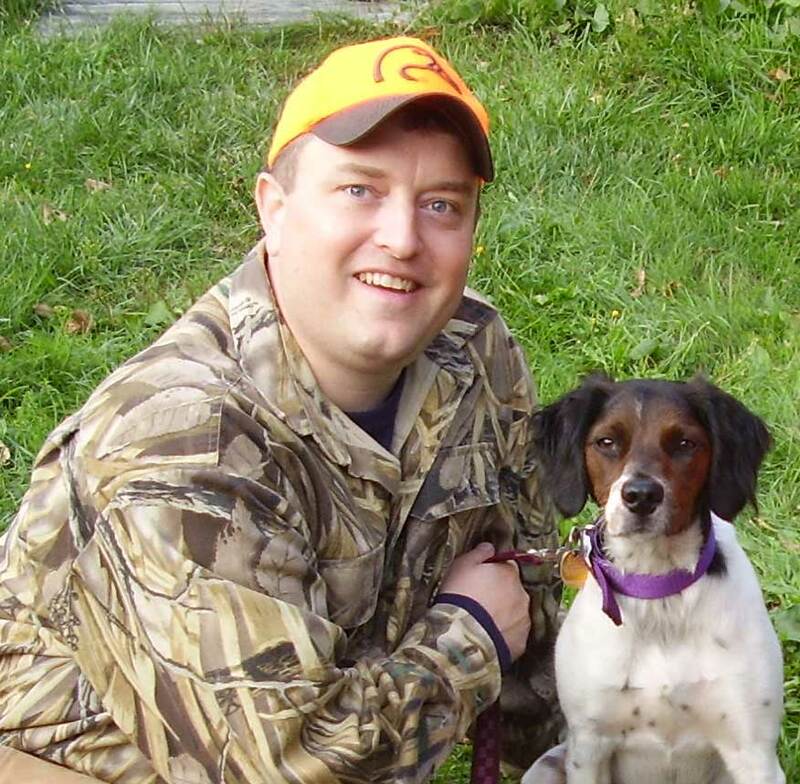 I started hunting nearly 12 years ago – yeah, I got into it late in life! A friend acquired a young Brittany and we pounded the Dogtown woods from October through November searching for the elusive woodcock, also known as a timberdoodle. That dog put up several hundred woodcock for us over the years; if only we had the skills to knock down a quarter of those birds. They call them “wood rockets” for a reason! I fell in love with duck hunting, and soon after took up decoy carving. There simply is no greater reward than seeing decoys you made with your own hands riding the waves and bobbing in the wind. Taking a duck (or perhaps a limit) over a rig of your own birds is just icing on the cake. I owe a lot to my friend and mentor, Hank Garvey. Hank taught me everything, from how to hold a carving knife to the proper way to load a brush when painting black ducks. He is a World Class Carver, and has competed at every major decoy competition in North America including the Ward World Championships in Ocean City, Maryland. I also owe a deep debt of gratitude to Captain Steve Brettell of Biddeford, Maine. Steve has won at the Ward Worlds several times. He also received Best of Show three years in a row at the New England Decoy Championships. Over the years, Steve has been extremely generous in imparting some of his knowledge about ducks and decoys. He truly knows his stuff, and has always been open and eager to share what he knows with others. I could not have asked for two better teachers than Hank Garvey and Steve Brettell. I carve decoys from cedar and cork. I enjoy using traditional hand tools like drawknives, spokeshaves, hand gouges, and carving knives to shape and finish a decoy. There is something relaxing about using a low-angle spokeshave to round over a decoy – the rhythmic pulling of the blade through the soft, aromatic wood with tight curls of cedar rolling up through the tool. Watching the decoy take shape from pattern to final sanding and painting is a lot of fun, and there is a great sense of satisfaction when that bird hits the water for the first time. Sea ducks and diving ducks are some of my favorite decoys to carve. I am especially fond of eiders, and my location here in Gloucester allows me to get some great reference on live birds. Decoy carving can be very addictive! Hank Shaw told me I should talk to you; I’m writing a column about wild game in this country. He says you hunt grouse around here. Could we talk sometime? Good talking with you. Nice article. Hello Nate, I have just found your site and it is great! (I was looking for Tom Christie to price a merganser I have of his, and your site came up!). You’ve not updated much but then, you did say you had a new son…maybe a year ago? I don’t know if you have been in our gallery here in Camden, Maine but you would like it and I know I would like you. (Never met a carver I didn’t like!) We carry great cavers you may know and perhaps heard about but haven’t seen their work. Check out the website and facebook page if you are into that! Keep carving! AND, tell Steve (Brettell) hello for Joyce! Cheers, J. Sorry for my very late reply. You might find Tom over on http://www.decoycarvingforum.com. I think he hangs out there from time to time.